Following the book’s release, the first African-American first lady will tour 10 cities including London. Mrs Obama, a former lawyer and hospital administrator, told ABC that after her miscarriage “I felt like I failed because I didn’t know how common miscarriages were because we don’t talk about them”. She said that when she was around 34 years old she realized that “the biological clock is real” and that “egg production is limited”, which made her decide to seek in-vitro fertilisation. 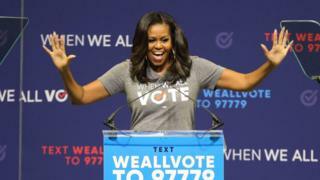 Mrs Obama revealed that the couple’s relationship struggled at times, especially after he joined the state legislature, leaving her at home where she was forced to administer IVF shots herself.